For normal skin. 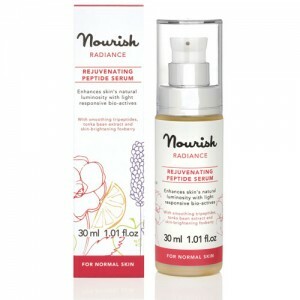 Nourish Radiance Purifying Cleanser is a gentle cream cleanser to remove make-up and daily pollutants. A purifying botanical blend, it enhances skin's natural luminosity with light responsive bio-actives to boost radiance and brighten the skin. It is 97% Organic. Rose absolute, the deeply fragrant concentrated essence of the Damask rose is soothing, cooling and has a gentle toning action. Alpine Foxberry is traditionally known for its skin brightening properties and is gently astringent, helping tighten pores to encourage refined, radiant skin. Dr Pauline Hili, a cosmetic scientist is one of the UK's top organic skincare experts, and founder of the Nourish Skin Range. All of her knowledge and expertise in developing high-tech natural and organic formulations that deliver real results have gone into the Nourish range. It provides a modern skincare support system to keep skin in optimum health, designed to correct and improve the condition of the skin to give immediate and long-term results. 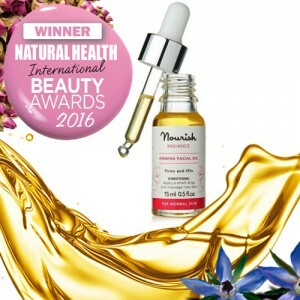 An award-winning Certified Organic skincare range, Nourish products use natural plant extracts and super foods to protect, support and stimulate the skin’s natural processes. 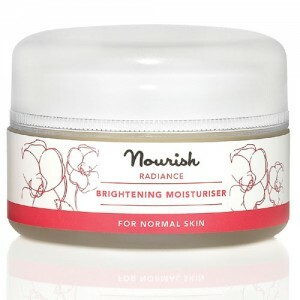 There is no compromise with Nourish skincare, the entire range is a delight to use. Aqua (water), Arctostaphylos uva ursi (foxberry) extract, Aloe barbadensis (aloe vera) leaf juice powder*, Helianthus annuus (sunflower) seed oil*, Glycerin**, Sodium levulinate, Levulinic acid, Cetearyl glucoside, Cetearyl alcohol, Rosa damascena (Rose absolute) flower extract, Potassium sorbate, Xanthan gum, Citronellol, Eugenol, Farnesol, Geraniol, Linalool. *Certified organic. ** Organic origin. Naturally present in essential oils. Apply a small amount of cleanser to cotton wool and gently sweep over the face. Rinse with cool water and pat dry. No Parabens, No SLS, No Synthetic Fragrances, No Petroleum Derived Oil.